The Nelson-Atkins boosted gallery and storage space for its collection when it opened the Bloch Building, pictured at left, in 2007. Now, it's looking into other expansion options. 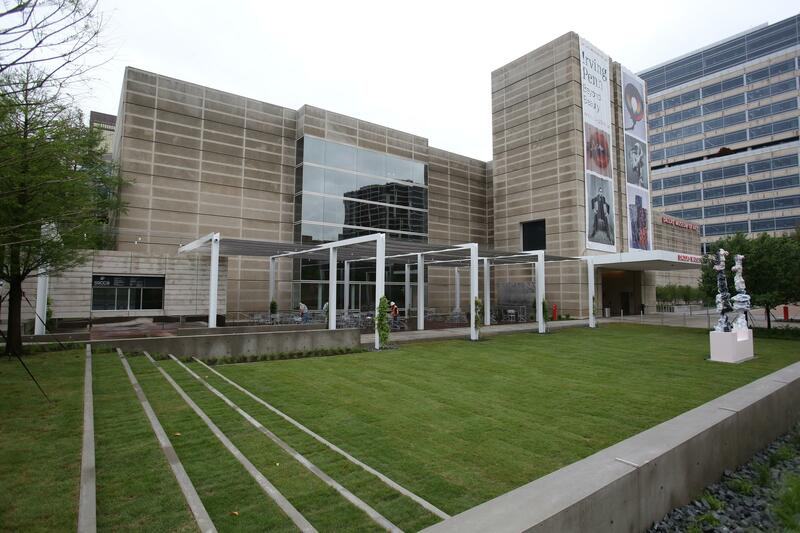 Attendance is up at The Nelson-Atkins Museum of Art — 534,000 people visited in this fiscal year. The collection has grown by more than 20 percent in recent years. And more of the museum's artwork now travels on loan, to places such as Australia, China, Europe, Japan, and Taiwan: The museum loaned 379 pieces of art in this fiscal year, up from 32 in 2011. But the Nelson-Atkins wants to be bigger and better. 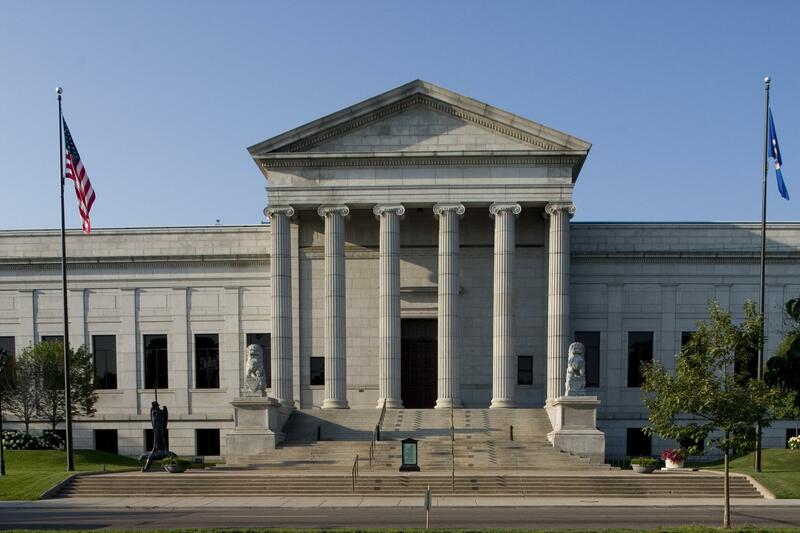 The museum has a "constant demand for more" space, especially for staff offices and art storage, director of operations Mark Zimmerman said during a presentation of the museum's master plan at the Atkins Auditorium on Wednesday. 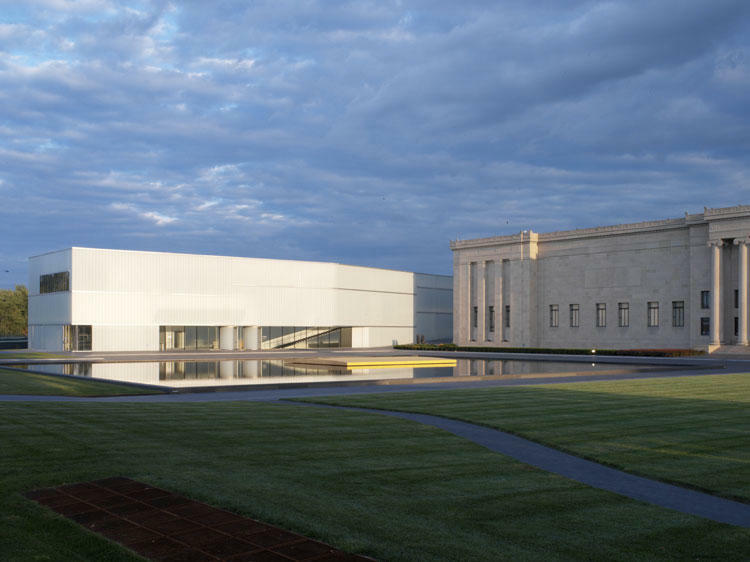 He added that the Nelson-Atkins is also "smaller than its peers by over 100,000 square feet. Essentially, we have some catching up to do." So, who are these peer institutions? 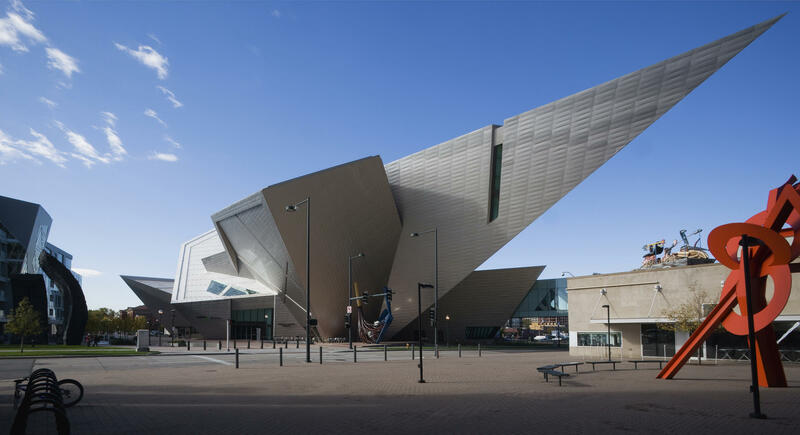 The museum listed six around the country: ones with free admission, such as the Cleveland Museum of Art, DMA (Dallas Museum of Art), MIA (Minneapolis Institute of Art), and the Saint Louis Art Museum, as well as museums with entrance fees, such as the Denver Art Museum and the Indianapolis Museum of Art (IMA). Space: "The museum complex (North Building 210,000 square feet and the Hamilton Building 146,000 square feet) includes gallery space, special exhibition space, education and art conservation space. Most staff offices are located in a separate, privately funded building adjacent to the Hamilton Building." 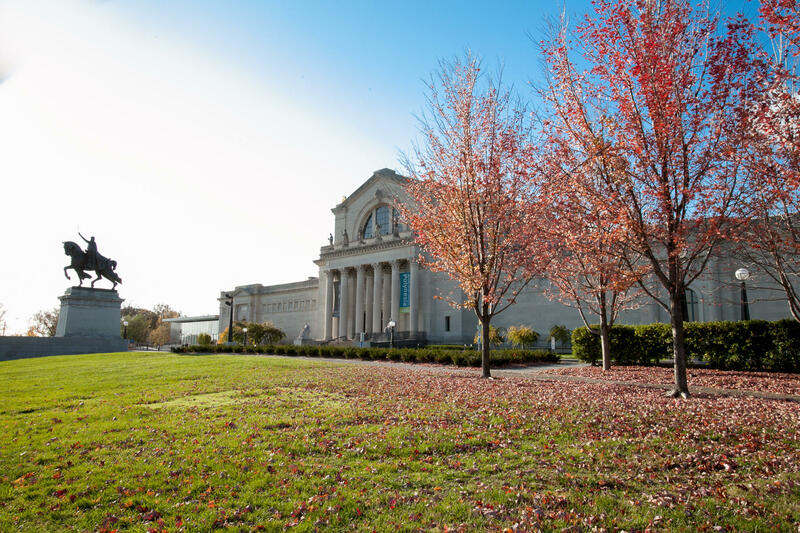 Read more about the Nelson-Atkins Museum of Art campus master plan here. Several dozen people representing neighborhoods, arts groups and the city of Kansas City, Missouri, assembled Tuesday night at the Kauffman Foundation to continue discussions about a proposed cultural district around the Nelson-Atkins Museum of Art. 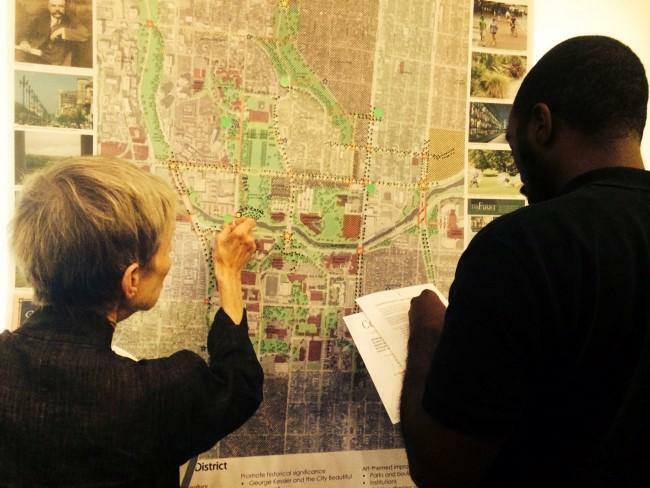 A three-day public planning charrette — a workshop exploring the potential of a new cultural district — wraps up on Saturday afternoon. For the last few months, community volunteers in work teams have met to generate ideas about what this district could look like. Before First Fridays took off, most people in Kansas City would have been hard-pressed to identify a local arts district. 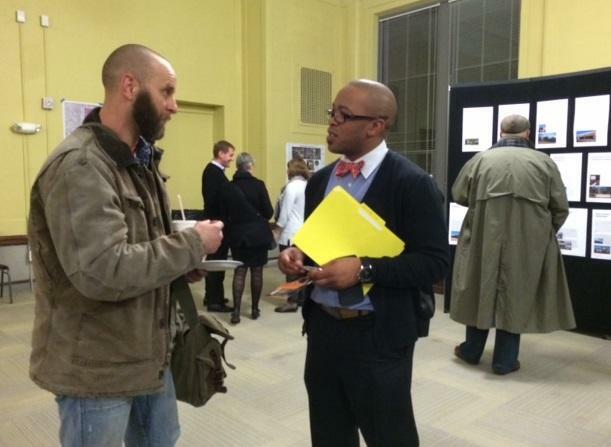 But the Crossroads district has since attracted attention from throughout the city and beyond. And other arts districts have popped up around it. How will the Nelson-Atkins Museum of Art's plans for a midtown cultural district fit into the bigger picture? 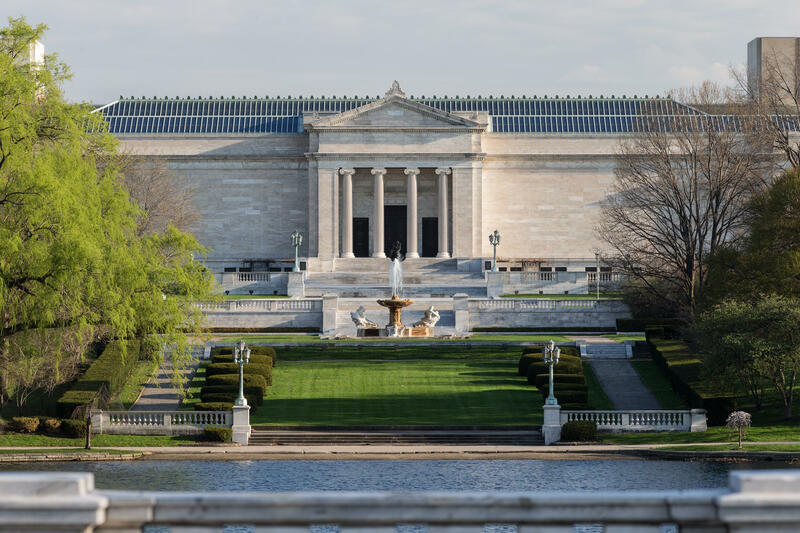 Earlier this month, the Nelson-Atkins Museum of Art released its preliminary plans for a cultural district surrounding its Midtown Kansas City neighborhood through an article in the Kansas City Star. The vision was expansive, conceivably stretching as far north as Hyde Park, south to Brookside, west to the Country Club Plaza and east to the Paseo. The Nelson-Atkins Museum of Art has unveiled plans for a bold expansion. The museum is talking about greater green spaces, walkways, and more sculptures as part of a gleaming cultural district. The new district would extend a mile in every direction from Oak Street and Emanuel Cleaver Boulevard. It’s a huge statement that could carry some pain as pieces of nearby historic neighborhoods would vanish to make way for this new vision.